Washington state rental vacation cabin with lots of romantic ambience offered in this cozy chalet style cabin. 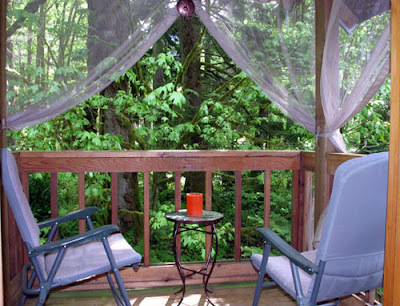 Soaring cathedral ceiling, gas fireplace, river view from the loft bed and romantic balcony. Perfect for special occasions such as anniversaries, birthdays, honeymoons, and romantic weekend getaways. The cabin also appeals to nature lovers with nearby fantastic hiking including easy walks in the woods, whitewater rafting & kayaking, biking, and rock climbing in the spectacularly beautiful Cascade Mountains. 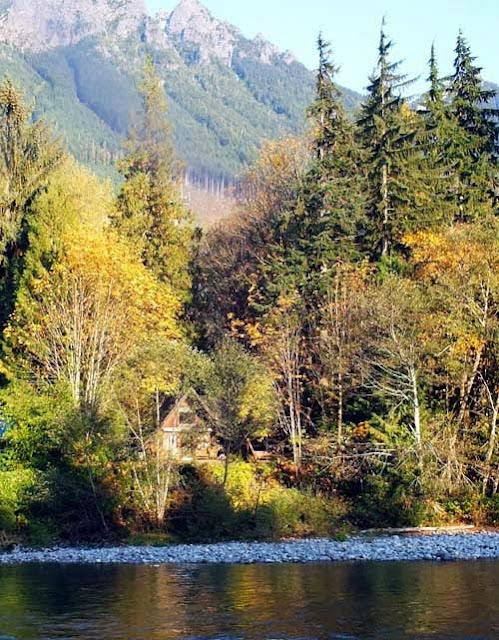 For those who just want a relaxing Washington vacation, the rocking chairs on the cabin’s front porch provide “front row seats” to watch the Skykomish River go by, or stay cozy warm in the glider next to the gas fireplace. The private hot tub located near river bank’s edge is romantic and relaxing listening to the river “whisper” by. 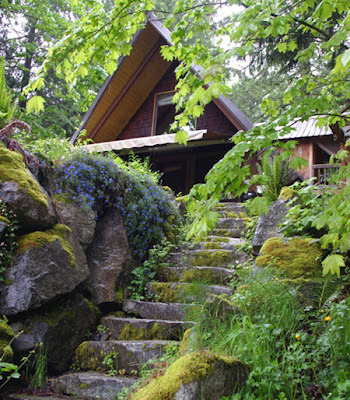 This is the kind of vacation cabin you won’t want to leave and many of our customers return again and again. 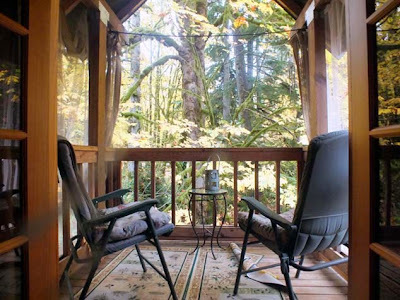 This clean, well maintained cabin rental with quality amenities is available at lower midweek rental rates because it is managed and maintained by the owner. Weekly rate starting at $875. Whispering Waters is pet (dog) friendly, with an additional charge.